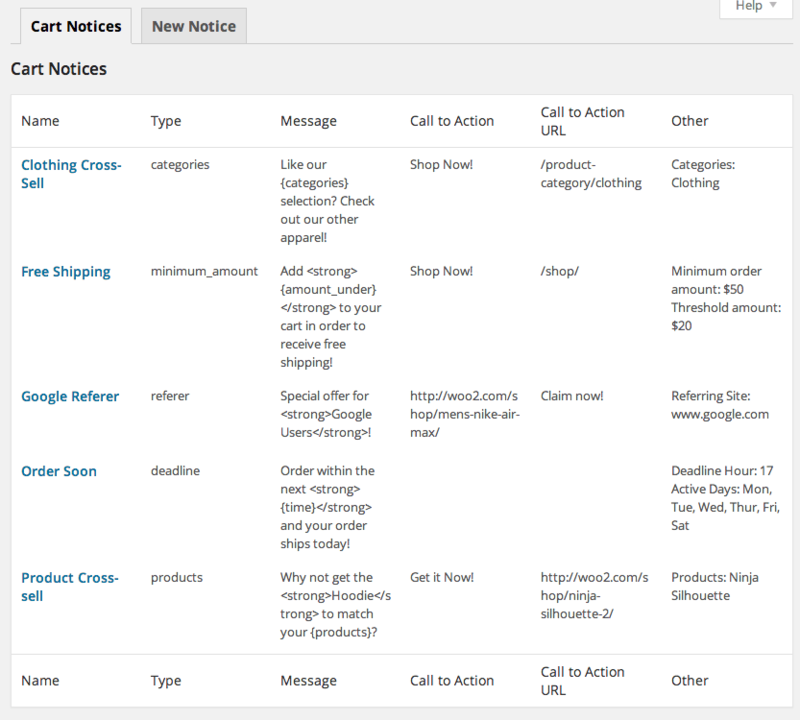 We appreciate your feedback about your support experience with SkyVerge, developers of Cart Notices. This helps us maintain high standards on the WooMarketplace, and helps SkyVerge improve. 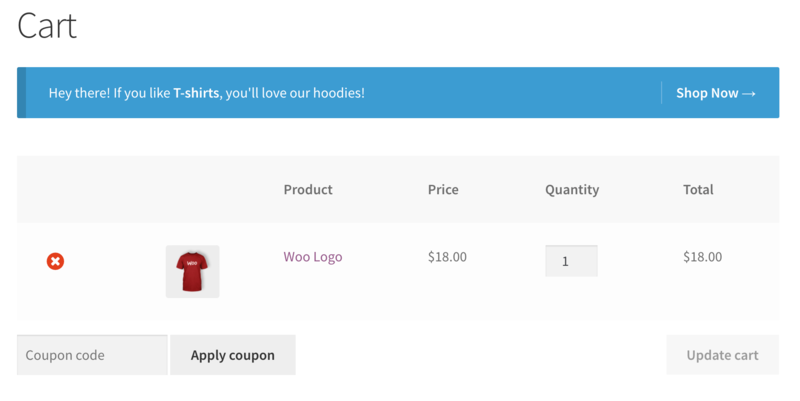 Displaying dynamic messages is a proven way to engage customers, make special offers, or nudge customers to buy more or get related products. 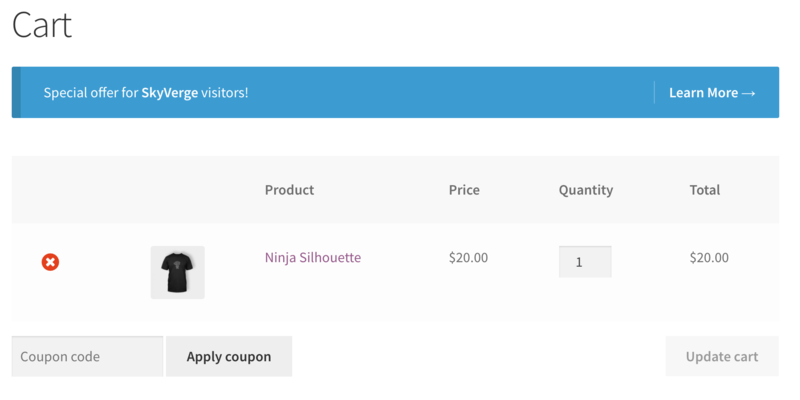 Messages can even be displayed anywhere on your site thanks to a number of helpful shortcodes! Improve sales and average order value by encouraging spending to receive benefits – giving customers a reason why they should spend more can result in a 50% increase in up-sells! 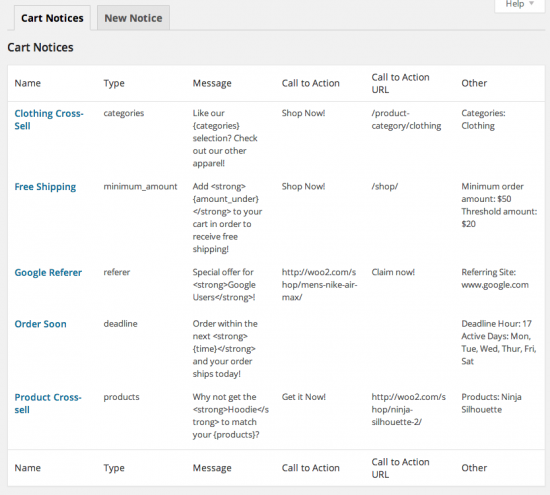 Display dynamic notices with the use of message variables. 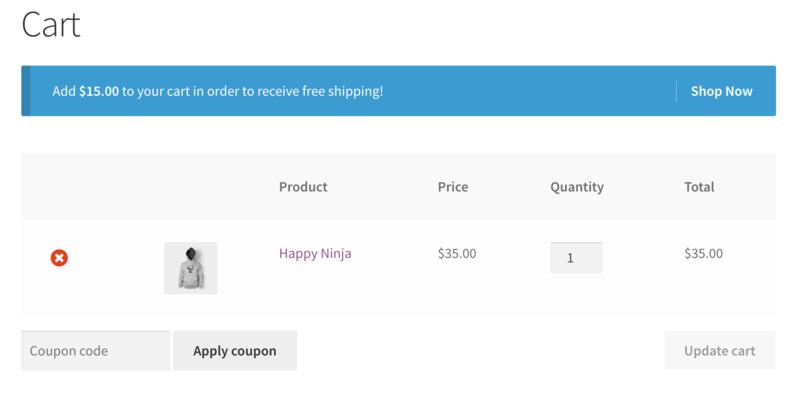 For example, you can set a minimum amount for free shipping, and the message dynamically displays the difference the customer needs to add to their total to qualify! Products in Cart – Display a notice based on the products in the cart. Cross-sell your related products and appear helpful to customers at the same time. Who wouldn’t like the reminder to buy batteries for their brand new camera, or to get a slick case for that new laptop? Or, use the minimum and maximum quantity notifications to let customers get a discount by adding a certain number of units. Help your customers spend more! 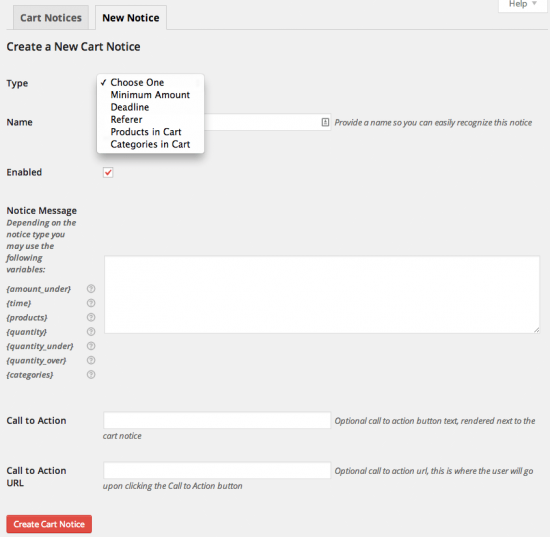 Categories in Cart – Display a notice based on the product categories contained in the cart for further cross-selling capabilities. Recommend similar items to improve the shopping experience. That’s it! Sit back and enjoy higher sales and happier customers!